A spokesman for Armenia’s second president Robert Kocharyan has downplayed the incident near the former leader’s house reported by the Armenian police. Late on Friday the police said that an unknown assailant had thrown a hand grenade towards Kocharyan’s private residence in Yerevan and that an examination of the scene was underway. It later turned out that Kocharyan was in Moscow when the incident reportedly occurred. 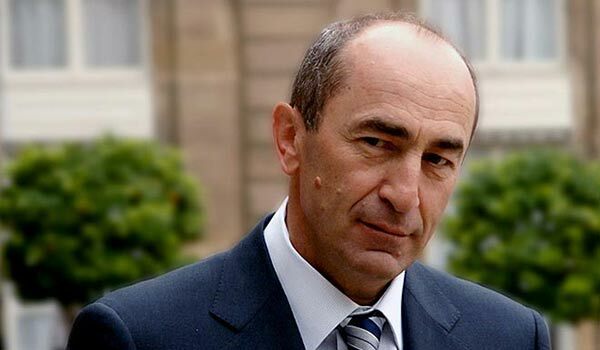 His press secretary Victor Soghomonyan told media on the phone from Moscow that there was no explosion near the house of Kocharyan and that no one from his family was hurt in the reported incident. “It’s a ludicrous incident that has been blown out of proportion,” he said, as quoted by RFE/RL’s Armenian Service’. Still, the ruling Republican Party of Armenia (RPA) condemned the reported attack. In a Facebook post its deputy head Armen Ashotyan suggested that some forces might be interested in “destabilizing the situation in the country” in conditions of the escalation in the Nagorno-Karabakh conflict zone. “I hope that all circumstances will be established and the investigation will answer the questions,” the senior RPA member said.